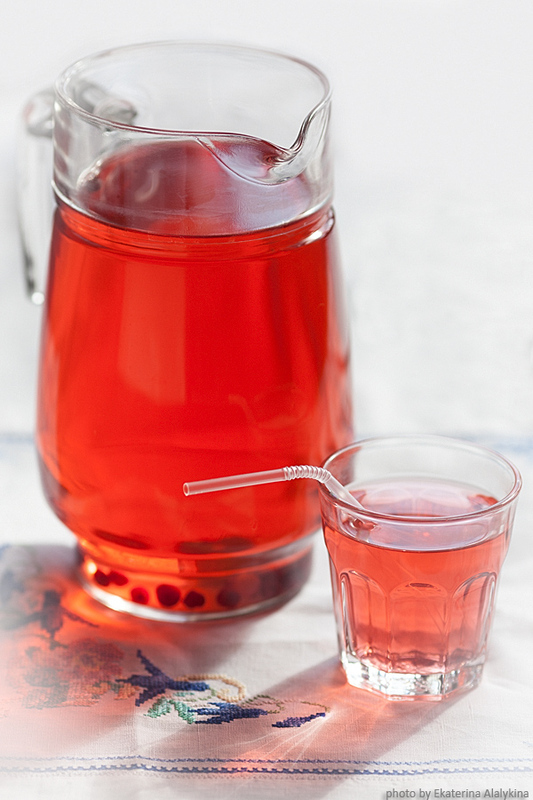 For a very long time a berry drink, mors, has been as popular in Russia as the other Russian drink – kvass. For the first time mors was mentioned in the «Domostroi», a book of rules from the 16th century, but it was created much earlier. Today, mors fruit drinks are prepared using a simplified recipe. In the old days, mors was prepared using a rather complex technology. In Russia mors drinks were used as medicinal drinks. For example, lingberry mors was used for colds, cranberry – as an antipyretic, blackberry – to normalize digestion, blueberry – for intestinal disorders. Mors drinks were often prepared from several varieties of berries and sometimes even from sweet vegetables – beets and carrots. In detail, the recipes of Russian mors drinks were described by a chef and historian William Pohlebkin. Berries (including overripe and damaged ones) were covered with water in a ratio of 1:3 and boiled for some time. Then the liquid was strained through a woven cloth, squeezed and mixed with liquid syrup. After that mors was poured into jars and cooled. Mors drink is a little cloudyto the eye, but it is very pleasing to the taste. The second recipe is a little more complicated and time consuming, but it was also often used in Russia. Berries were pressed, juiced, and then the liquid was poured into jars and left for a few days in a warm place. During the fermentation process the juice became clear. It was strained, sweetened with honey or sugar, and boiled. It was important to remove the foam. Next, the clear hot mors was poured into jars and stored in a cool place. This mors could be stored for a long time and was used as a concentrate. Before use, it was diluted with cool water. In the summer days mors drink was one of the most common drinks to quench your thirst.